One of the coils on my 81 MHR has a problem.. the low tension wire has broken right where it enters the coil. So I've decided to replace them both with new 5 ohm Dyna coils.. DC-10-1. The question is do I still need to keep the ballast resistors when using these new coils. I have read a few old threads on here on the subject, but haven't seen a clear answer. Re: Fitting Dyna Coils to 81 MHR.. Ballast Resistor Needed? Steve: do you have a picture of your bracket kit on a bike that you can share? The Dyna coils are a little fatter than the NP originals, and so wont fit in the OE position … in the triangle made by the two down tubes and the cross brace under the headstock. 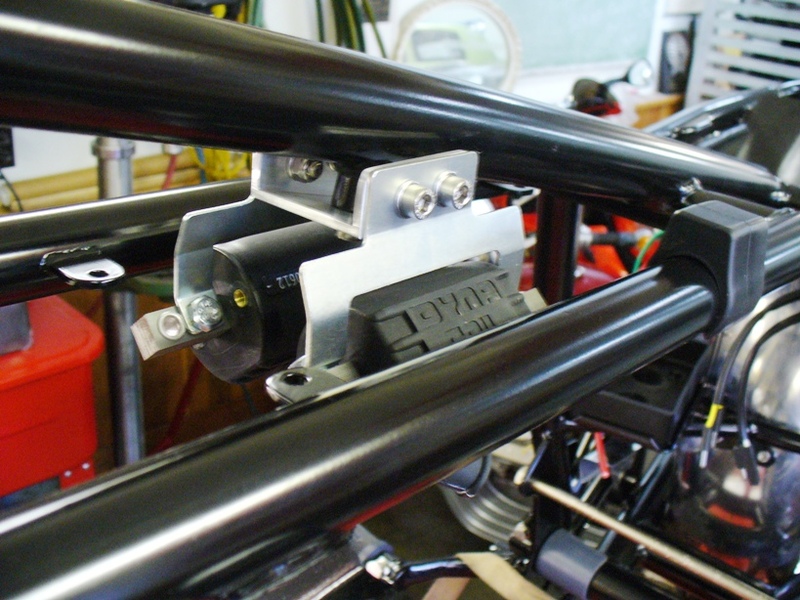 In the pic above the coils are mounted on the brackets used to mount the ignitor boxes on my 81 MHR. 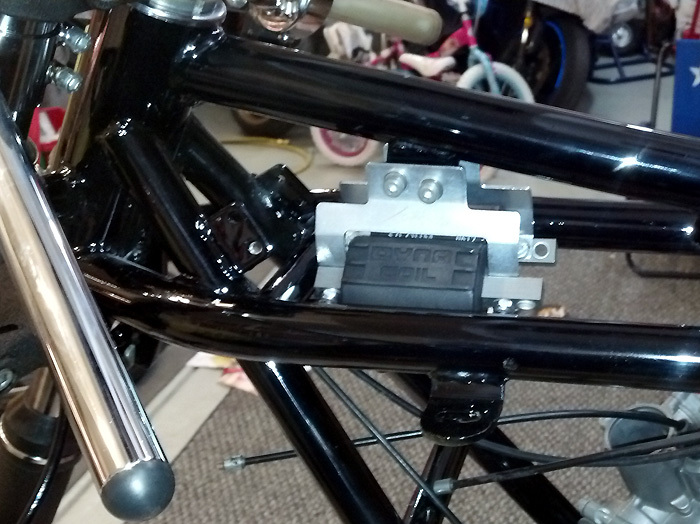 Did the bike pictured not use these ignitor boxes anymore, or where they in turn moved elsewhere? The photo doesn't show an MHR.... its a Sport or a GT, can't remember exactly. The brackets don't fit anything exactly except the coils. The point of using them is that they are a huge time saver and can easily be modified to fit most of our bikes.